Two key housing indicators were released in the past week that give us more data and context around the state of the market now and moving further into 2014. The first is negative equity and the second is pending home sales. Thanks to rising home prices, the number of homeowners who find themselves owing more on their mortgage than their home is worth is dropping. This is good news for the move-up market. The more owners who are able to sell without a loss the more housing supply is likely to come on the market this year. 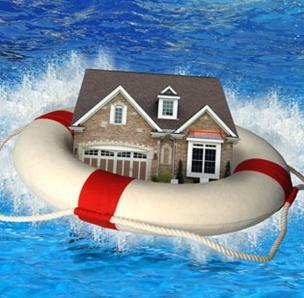 Nationally, more than 9.8 million homeowners remain underwater, but the number has fallen for seven consecutive quarters, pulling nearly 3.9 million homeowners out of negative equity, according to Zillow’s latest Fourth Quarter Negative Equity Report. While the number may still seem alarming, it’s good to remember that negative equity is only a problem to those owners who want or need to move while they are still underwater. Economists, however, do expect the situation to continue to impact the housing market for a few years to come. To see how negative equity fares in your market, check out Zillow’s interactive map of the U.S which allows you to enter a ZIP code, city or county and see how your local market is doing. In a separate report this past week, the National Association of Realtors said that pending home sales – a prime indicator of sales over the next month or two – were essentially unchanged in January. NAR’s Pending Home Sales Index Pending Home Sales Index was up 0.1% to 95 in January, but is 9% below January 2013 when it was 104.4. What this means is we’re likely to see fewer home sales in the first quarter of the year than we saw during the same period in 2013. Many point to an exceptionally bad winter and lingering problems with lack of homes for sale as causes for the stall. The slowdown doesn’t mean we’ll have an all-around slow year in housing in 2014, though. Things are very likely to pick up during the traditionally fast-paced spring and summer buying seasons. In fact, we expect particularly hot markets in San Diego – both in terms of price increases and sales volume.